So for today’s weeknight wonder I have a recipe sure to be the talk of the town, the bell the ball, the cat’s meow. Maybe I am exaggerating a tad but it will definitely be a hit in your house! This is a knockout pork loin with a sweet tangy glaze. My kids all devoured it. They could not get enough. It was the easiest thing to make too. 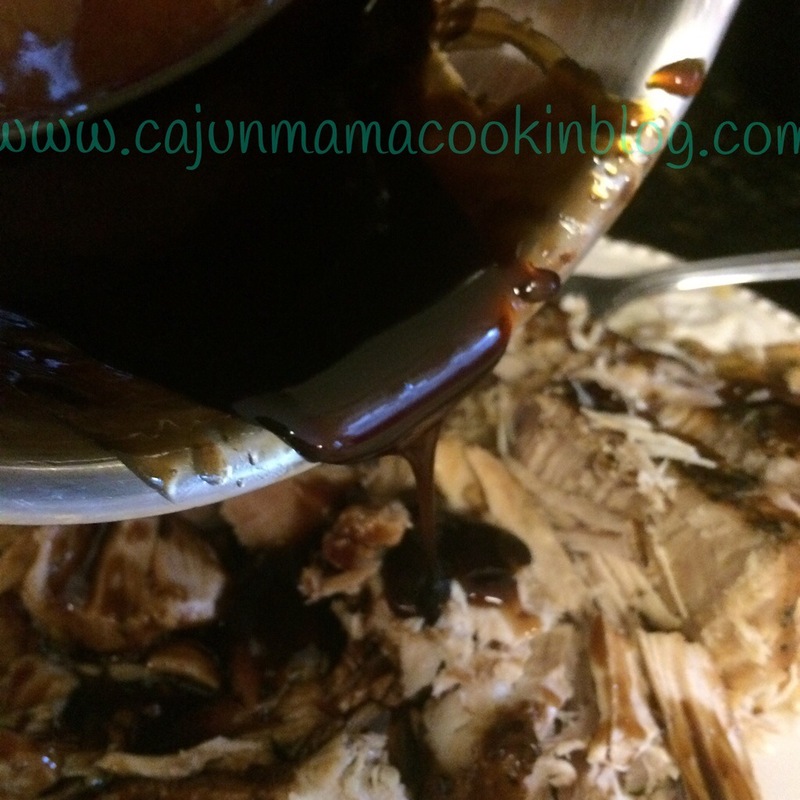 I made this before this whole Cajun Mama thing, when it was everywhere on Pinterest, but not since and I have always wanted to blog this recipe to share with y’all. 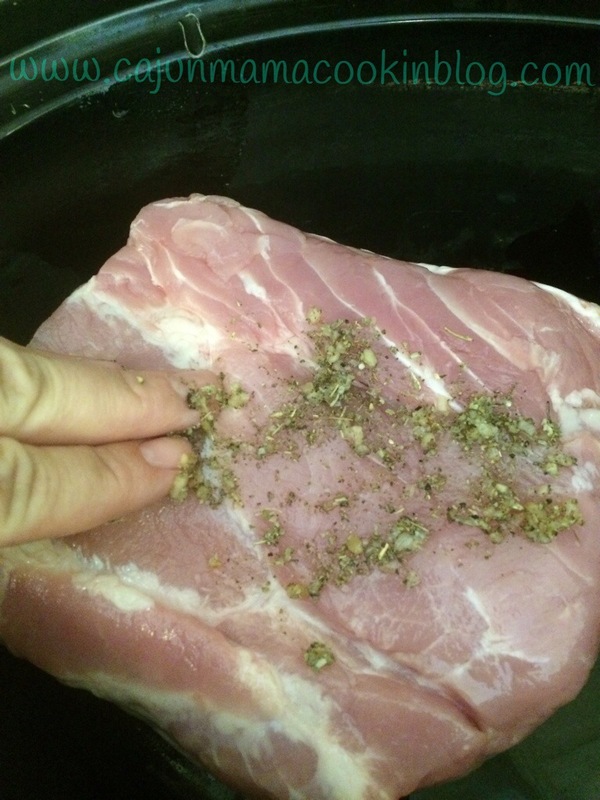 This is the link I found the recipe on this time http://brooklynactivemama.com/03/2014/slow-cooker-pork-tenderloin-recipe.html. I wondered if it was as good as I remembered it being. The answer to that question is yes. It may have been better than what I remember. Not sure if it is the simplicity that makes it so terrific or if it is the sweet, thick tangy glaze. Maybe it is those two things combined. One thing is for certain, this a pork loin for all seasons. 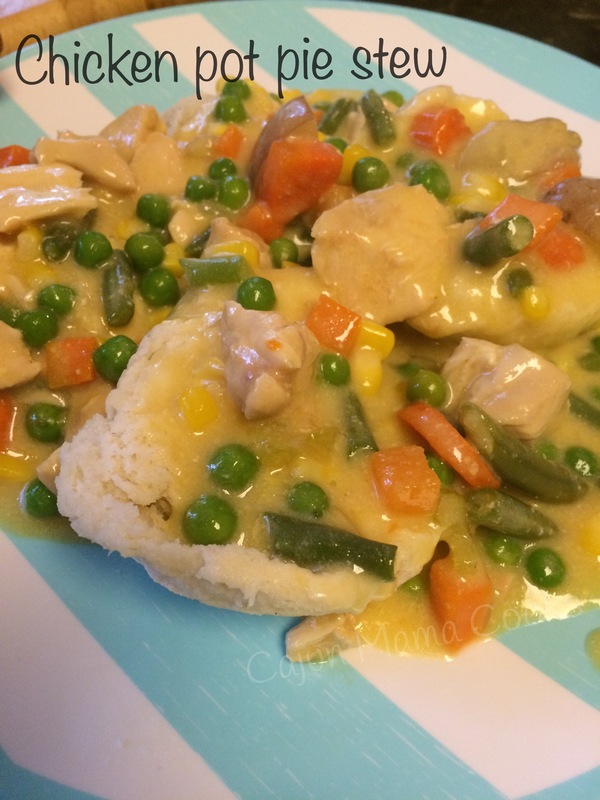 It’s cooked in the crockpot so it is perfect for summer time. It’s delicious and hearty, so it is great for winter time, out of the house all day, come home to a great smelling dinner. Anyway you go, it is all good. 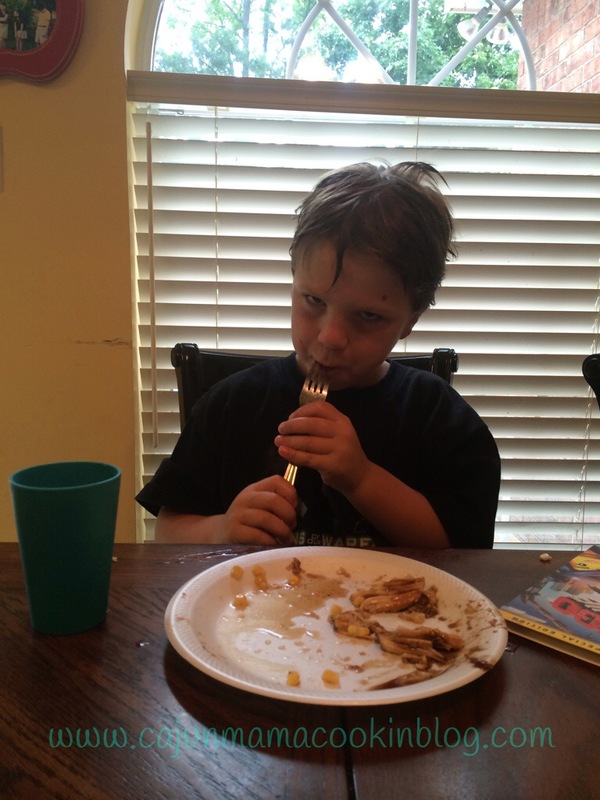 though he is never hard to please, my baby really ate this roast up! 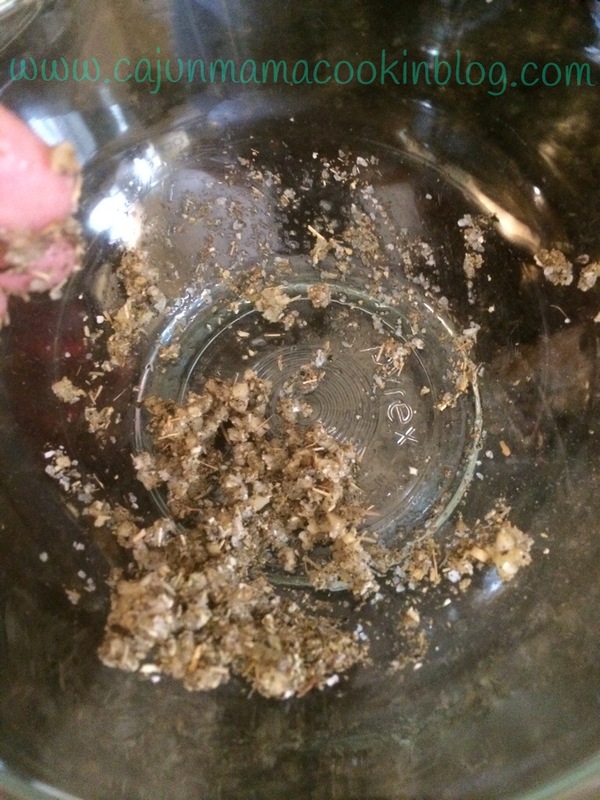 In a small bowl, mix together the sage, garlic, salt and pepper. Put your tenderloin in the crockpot. Rub that seasoning all over that roast. Now add the first 1/2 cup of water to the crockpot. Put the lid on. Cook on low for 6-8 hours. Mine took 6 hours and it was fork tender. easy enough? Yes it is! Ok good! 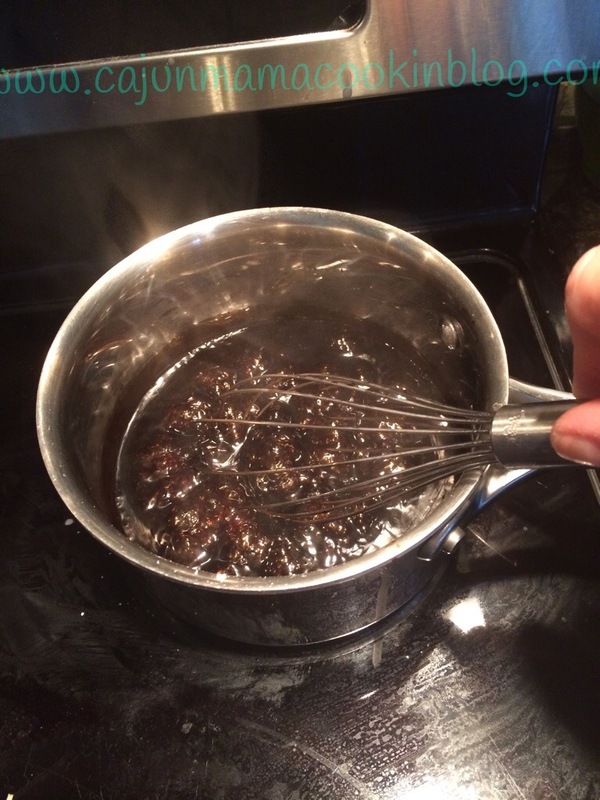 Ok at some point before the hour 6, whisk together in a small saucepan the water, cornstarch, soy sauce, Balsamic vinegar and brown sugar. Bring to a boil over medium heat and continue to whisk the mixture until it is thickened. About 4 minutes or so. Remove from heat. For the last hour, brush the sticky sweet glaze over the roast 3 or times as it continues to cook. When done, transfer the roast to a large serving plate. Drizzle the remainder of the glaze all over that tender roast. It will make you drool. It is absolutely as yummy as it looks. there you go. You are welcome. Enjoy!! Ya’ll are going to love me!!! This is a pretty easy, makes in the crock pot and you come home to a wonderful smelling house and supper is almost ready. How do you like me now? I am giving ya’ll another ticket to New Orleans and ya’ll won’t even have to leave your house. I mentioned my precious friend Angie in my post the other day I do believe. She loves to cook, like me she cooks just about every night, and she doesn’t play around with so so recipes. She goes full throttle, as a friend, mom, cook, you name it. She is a little spitfire from Monroe but only small in stature. Her personality is big. I just absolutely love her. She is hilarious, loves coffee and loves to text crazy emoticons that relate to whatever insane situation we have gotten ourselves into at the moment. Like me, she loves Doxies. In fact, she spawned my insane love of Doxies. So as you can see, we have lots in common. A few months after we met, she emailed this recipe to me. My first thought was, “um yum! !” and also “sister is my kind of girl”. I mean, willing to share a family recipe and such a fab one at that. So, we became fast friends as did our kiddos and I am blessed to have her in my life. First time I made this recipe, we were blown away. It was “wow. just wow”. This is an authentic recipe and makes excellent, just like the French Quarter, poboy. Obviously I need to take a trip to NOLA soon because this is the second copycat NOLA restaurant recipe I have made and posted this past week. NOLA is calling I suppose. I won’t go into much detail but lately Angie’s daughter has been having a few health issues. They have been in and out of the hospital. As a friend, it has been hard to watch. But not nearly as hard as I imagine it has been on them to have to stay in the hospital and to watch her daughter endure all that she has. Or for C to endure the poking, prodding and testing. But they have. As a friend, it has been hard not to see them. I miss my friend. My kids miss their friend. Something we thought was only temporary has turned into a a more lengthy battle. We cannot see them because sweet C cannot be around anyone who might have some sort of illness and with 4 school aged kids, my kids could have who the heck knows what. So, we talk when we can and text when the mood strikes. 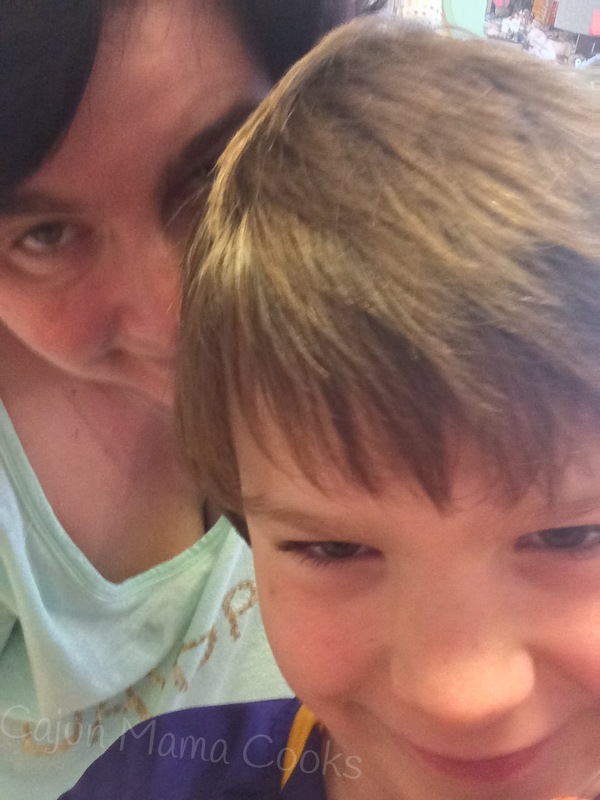 C is going to eventually be ok but it will be a long road. Angie is a tough woman and I know she can endure, but my heart hurts for them. It is kind of like all of this crazy winter weather. Though we have not been hit with any blizzards or extreme cold, it has been cold enough for us here in the South. Some of us even have some white stuff they call Sneaux on the ground (not us here in Shreveport because of some sort of freaky weather bubble but that is a topic for another time). Just like the snow will melt, the ground will thaw, and the cold will turn to warm spring air, C’s body will get stronger and normal life will eventually resume. The kids will be running and playing, jumping in the pool and sunning themselves on the deck while Angie and I chit chat and drink cup after cup of coffee. Sometimes I guess, you have to just hunker down, pray hard, and have faith. That bodies will heal and that the sun will eventually shine again. Endure the hard times by leaning on friends and when things are good, appreciating those good times. And those people you enjoy them with. Share good recipes and laugh. Count your blessings and know that normalcy is a blessing. Day to day life, though sometimes boring, is pretty perfect as is. So just like Angie shared this wonderful recipe that forged a forever bond between us, I will extend this recipe to you. Because that is just what we do. 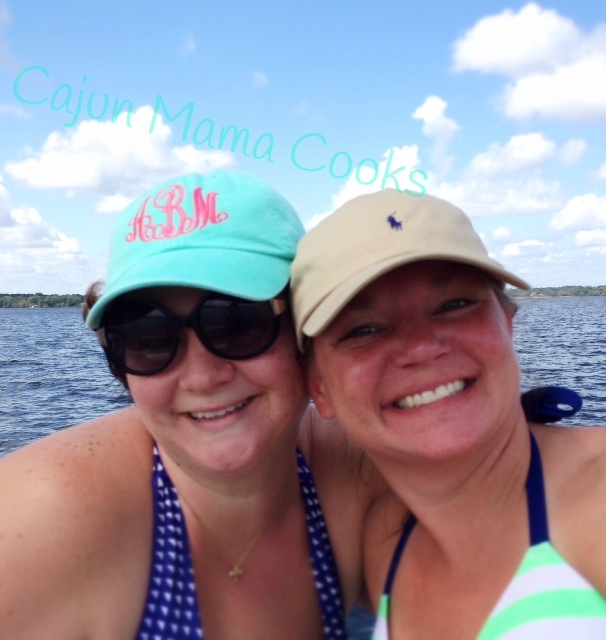 Ready to enjoy some fun in the sun with my friend again…soon. I miss her face. Season flour with salt and pepper. Dredge roast in seasoned flour. Heat canola oil in a large cast iron skillet and then brown roast on all sides. 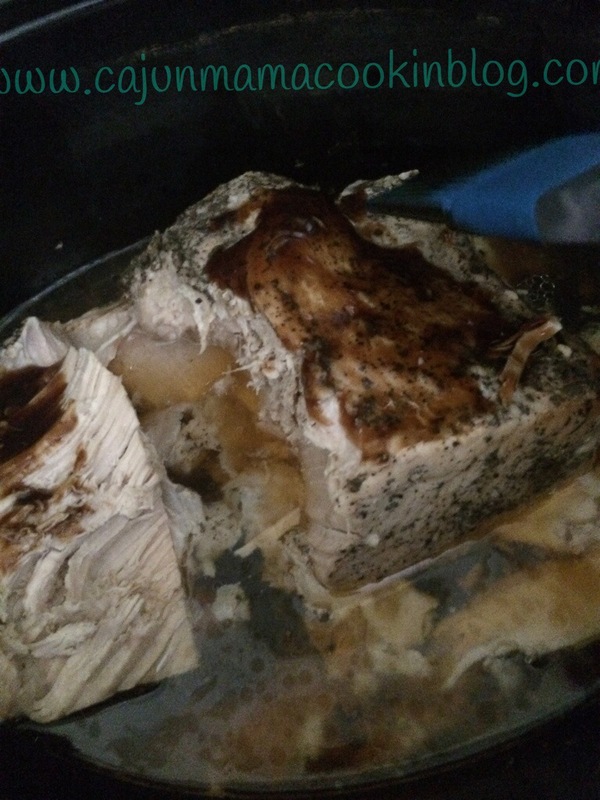 Put roast in 6.5 quart crock pot. Now, add the remaining seasoned flour to the remaining oil in the skillet. 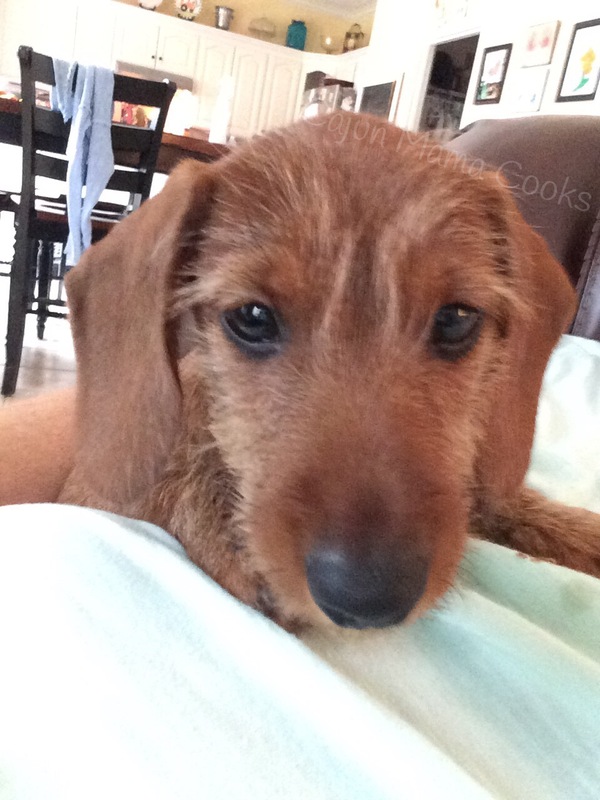 You are kind of making up a little roux. If you don’t have enough oil left, just add a little. You want to make a paste. Now, whisk in the chicken stock and deglaze the pan. You want to pick up all the little browned bits at the bottom of the skillet. Now, pour all of this over the roast that is in the crock pot. Lay the thinly sliced garlic over this. Cook on low all day or until the roast is tender and you have a nice gravy. You can shred the meat or slice it, whichever you rather. Now, slice the French bread horizontally. Pour the melted butter over the open loaf. Sprinkle with garlic powder. Turn broiler on low and slightly toast the bread until the edges are browned. Make sure you watch the bread as it can go from perfectly browned to burnt quickly!!! Cut loaf in half vertically to make 2 sandwiches or cut into smaller pieces to serve more. Spread mayo and or creole mustard over one half of the bread. Spoon beef and gravy over the other half of the bread. Top with lettuce and sliced tomatoes if you want yours’ fully dressed. Enjoy this delicious taste of New Orleans. Don’t forget the napkins, ma cher!!! C’est ci bon baby. Dredged in seasoned flour and ready for browning…gonna be good yeah. MMMMMM!!! One of the first blogs I began following and paying attention to was Passionate Penny Pincher or PPP. 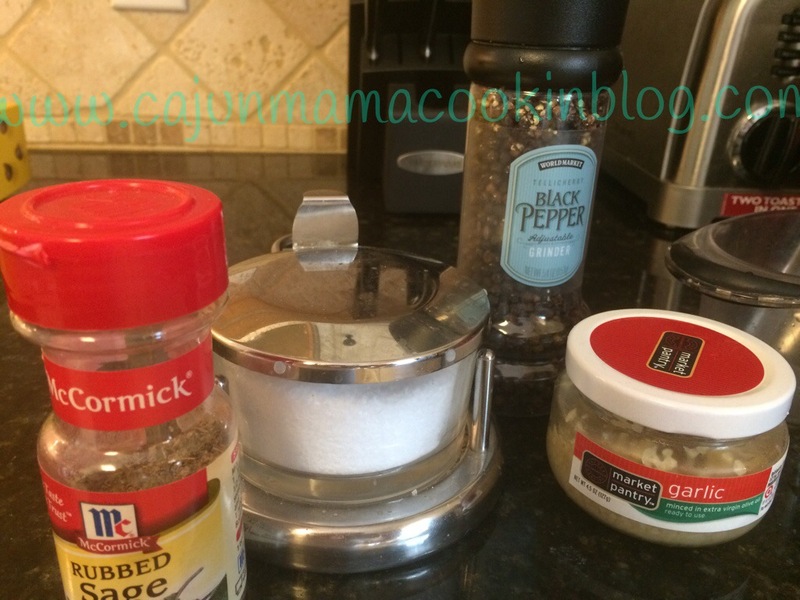 I really love her money saving tips and I really love the recipes she puts on her blog. i found this one last year and have made it time and time again. This recipe requires very few ingredients and has so much flavor. 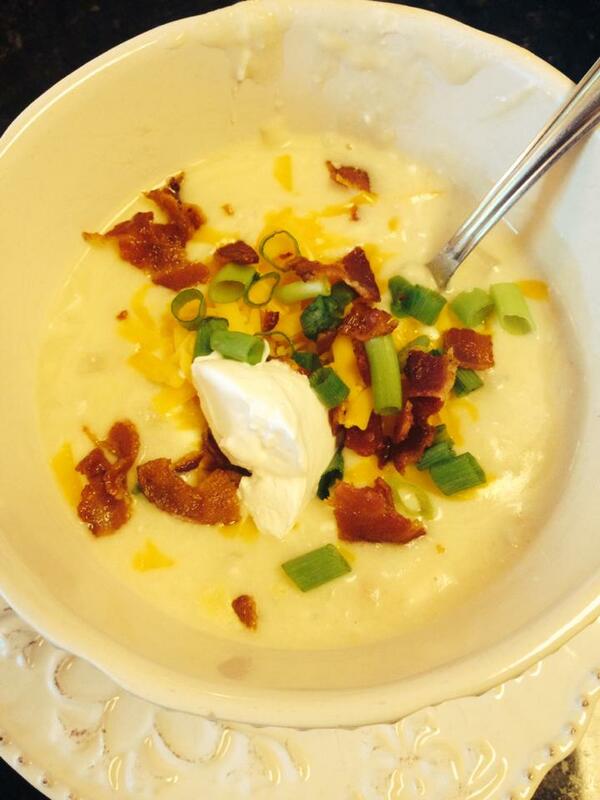 I really think if you give this recipe a try, you will be hooked!! Oh and the website address for the PPP website is http://www.passionatepennypincher.com. Check her out. She seems like a lovely person and has so much to offer. The roast is in the slow cooker already, let the cooking begin! Will post a pic of the final product later this evening!! 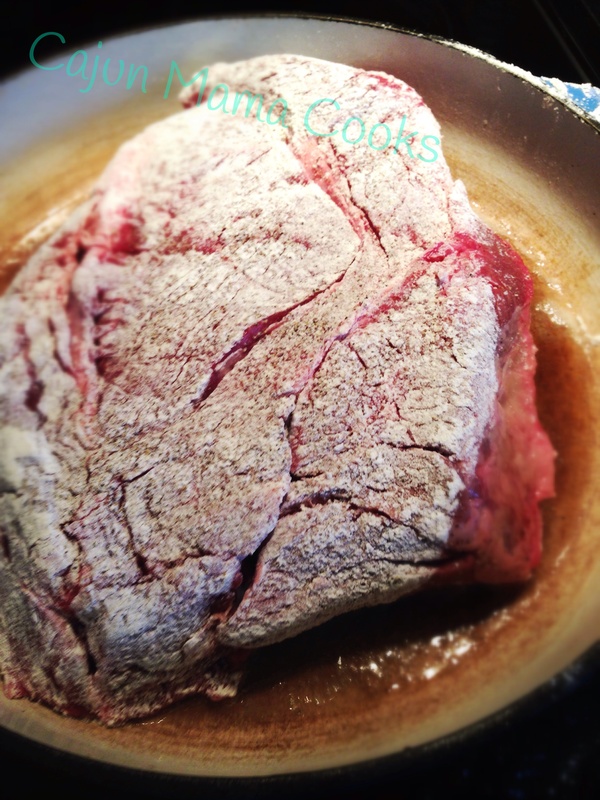 place your chuck roast in your slow cooker. Dump the jar of peppers and the juice on top of the roast. Do not add any water. Cook on low for 6-7 hours. After it has cooked for 6 hours, remove roast from the slow cooker and put it on a plate. Remove the peppers with a slotted spoon and throw them away. 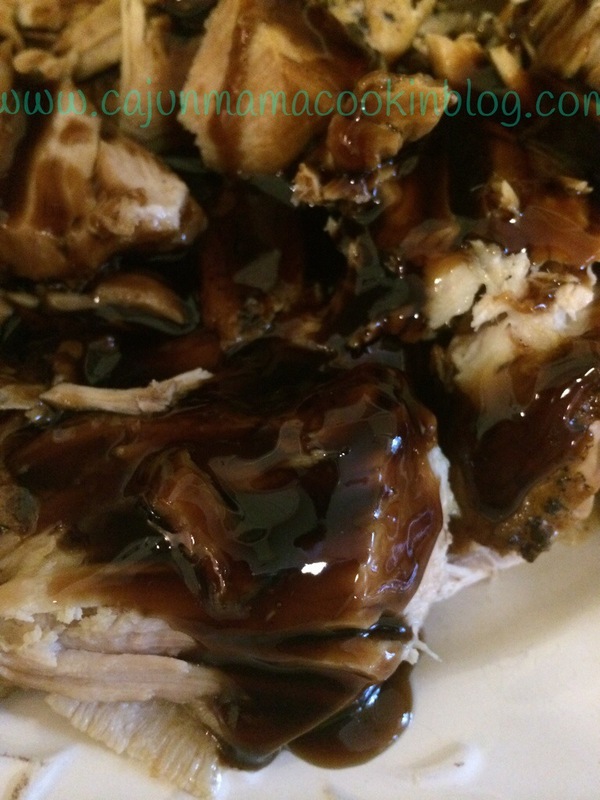 Whisk in the au jus gravy mix into the liquid in the slow cooker. Shred the roast and then return it to the slow cooker. Let it cook on low for another 30 minutes or so the yummy liquid and the roast can mingle. 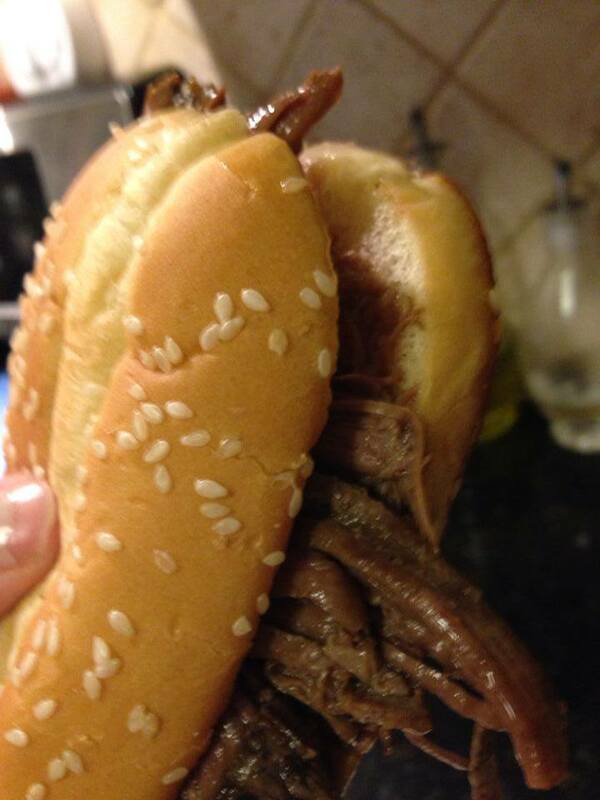 Now how I serve them is use a slotted spoon to spoon the meat onto the hoagie buns. We eat them undressed and they are delicious that way, but feel free to serve fully dressed with lettuce, tomato, dijon mustard, and mayo. A little provolone cheese melted over it would be lovely as well. Oh let me not forget the most important part!!! Ladle some of the yummy liquid/juice/gravy into a individual small bowls for dipping. MMMMMMMMMM!!! You know those days when you want the comforting and familiar? Today is one of those days. 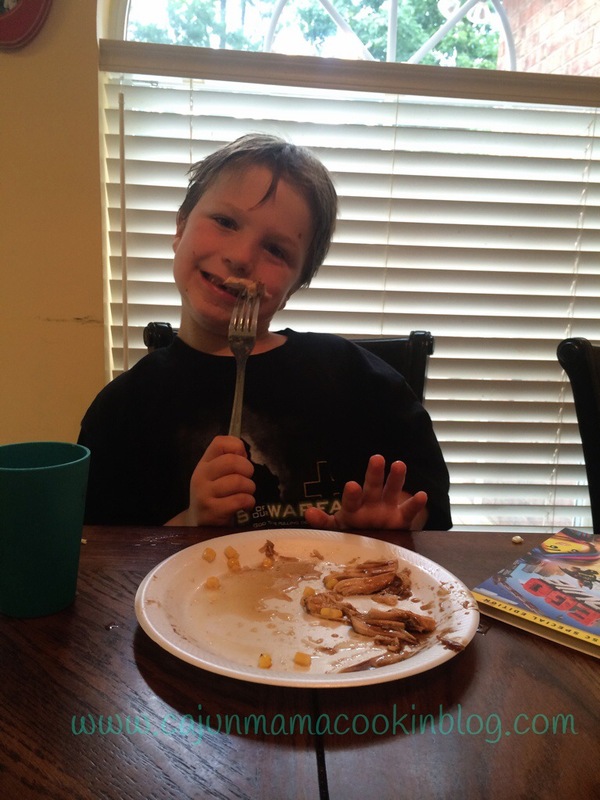 This week I have been so pleasantly surprised by how great the new crock-pot recipes we have tried have been. Seriously impressed ya’ll. But today I woke up and looked around and feel like my house and chores have been neglected. I know I need to get it together. Being a stay at home mom is a job. It is my job. So no matter what you do for a living, I know you take it seriously and I do the same. Laundry needs to be done, dishes, in general straightening. And today is one of those days where I know I need to cry uncle and remind myself that I can’t do it all. 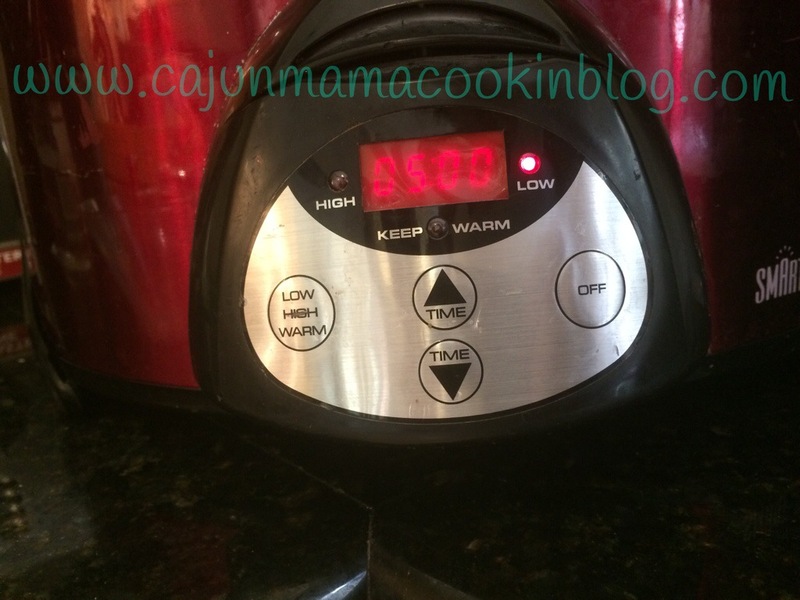 So instead of blogging about a recipe that I have not tried yet today, I am bringing you one of my all time favorite crock pot recipes. It not only makes itself but it is pretty nutritious too. Also it is very versatile and it can be as kid friendly as you want it to be. It requires only a few ingredients that you most likely have and is just so darn good. 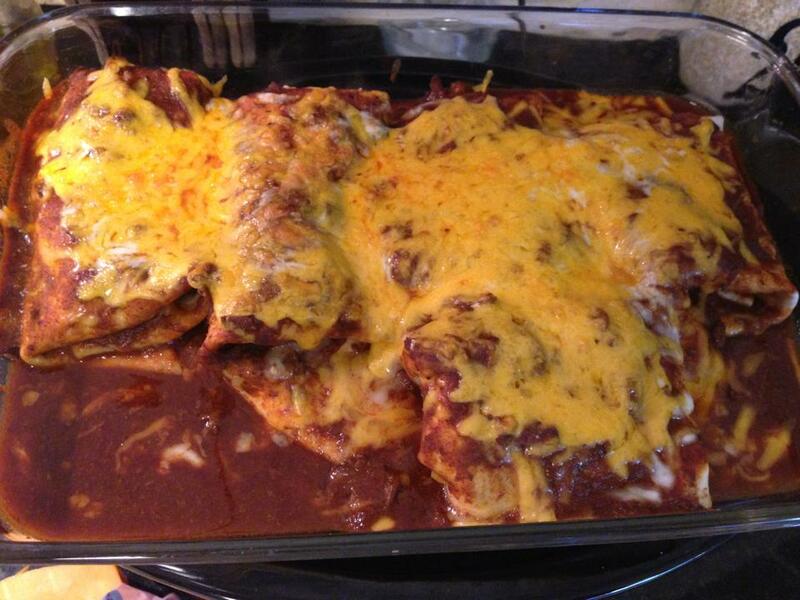 Everyone I have ever given this recipe to has raved about it and it has become a regular on their menu line up. I hope you will try it out. I am going to blog this recipe while I drink my second cup and then I am going get busy on this house. Time to kick it into gear. If I don’t do it, it won’t get done…ya’ll know what I mean!! All set and ready to cook!! This is a picture of it when it is about to start cooking. 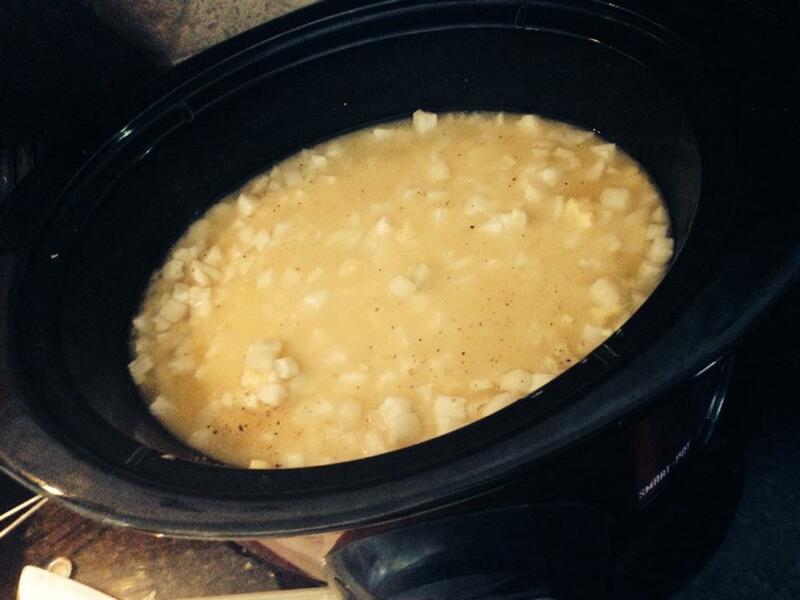 Pour corn, black beans and salsa into the crockpot. Lay your chicken breasts on top of the mixture. 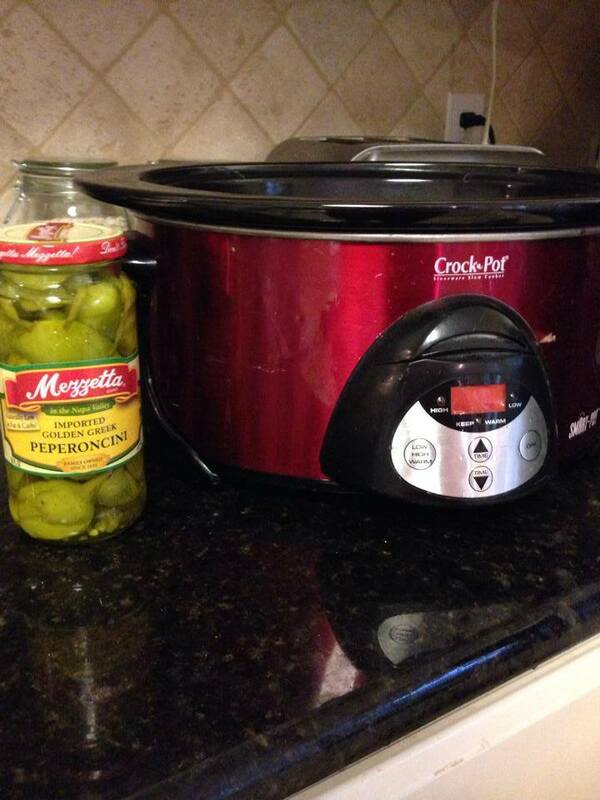 Put the lid on the slow cooker and then cook on low for 5-6 hours or high for 7-8 (depending on your crockpot). Remove chicken breasts from the slow cooker and shred them with two forks. 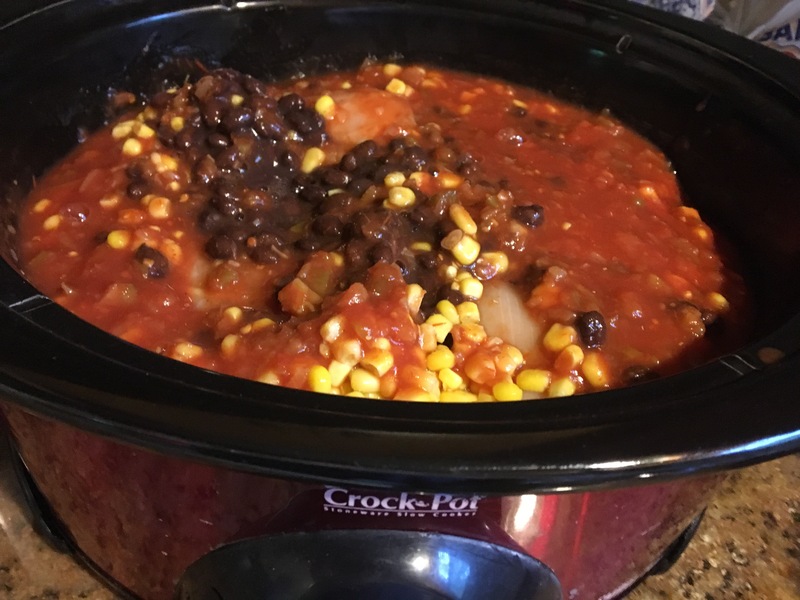 Return chicken back to crock pot and give it a good stir so the chicken and black beans, corn and salsa can get good and comfortable together. You can serve right away or let it sit in the crock pot a while. When you are ready, spoon some of the filling into your warmed tortillas and add shredded cheese and sour cream if desired. Now the beauty of this recipe, is that it is so versatile. You can serve it over rice, baked potatoes, or tortilla chips like nachos. Make it your own. *I am updating this post to really focus on the beauty of this recipe. I have not made it in a while and I am literally salivating while thinking about having these delicious chicken burritos. 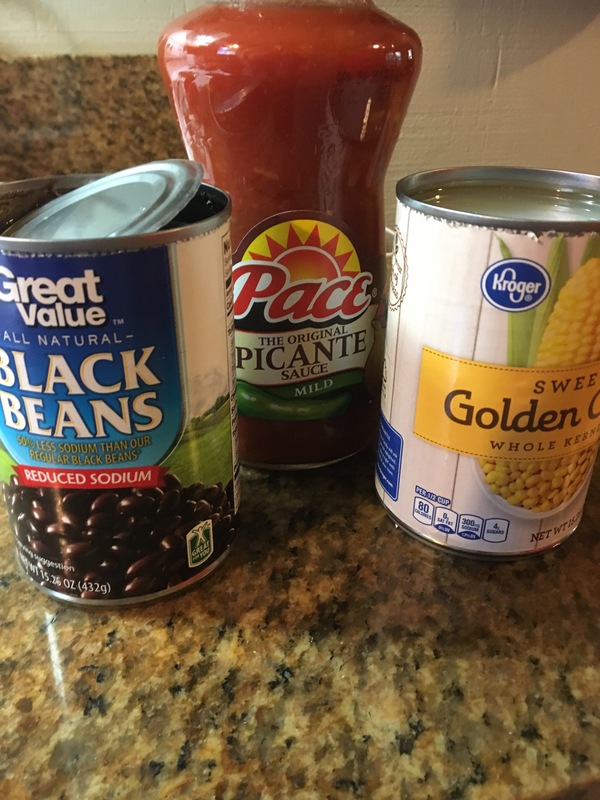 The simplicity of the recipe mixed with the tastiness and semi-healthy nature (black beans and corn are both superfoods!!) We are staying with some friends in the cabins at Lake Claiborne and we needed something good for supper that we did not have to slave over. This recipe is perfect! !